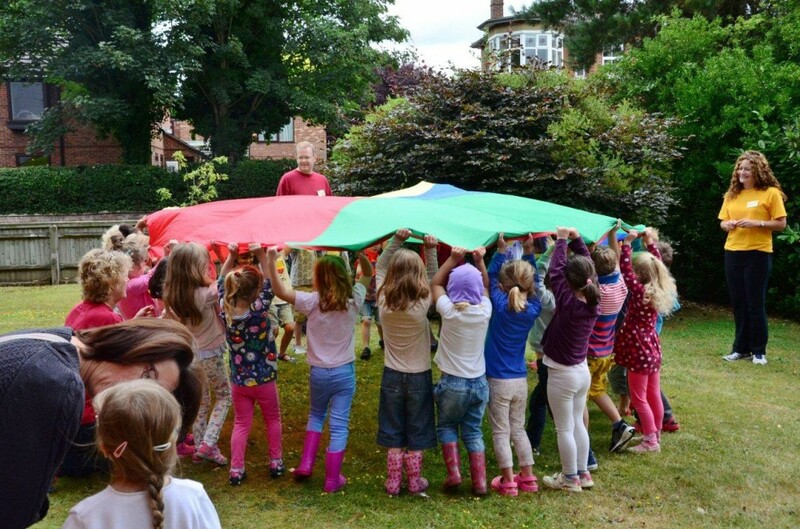 St Peter and St Paul and St Saviour’s Churches in Tonbridge were transformed into base camps during July, so that we could explore some of the amazing environments of our natural world. Some 230 children and young people attended each day, listening to stories, singing, doing craft activities and quizzes, watching drama, playing games, watching film clips, praying and enjoying watching their leaders suffer in ‘Leaders’ Challenge’ . Together we learnt about God and how he wants us to be part of his team of explorers. The week was run by an amazing team of around 100 volunteers from the church, including the “green team” of young leaders who were much appreciated by their groups. Other jobs varied from making cups of squash for 200 people, to leading a team, from baking tasty cakes and praying, to making music and being dramatic. We even had people donating hundreds of sausages (thank you Haywards!) or offering a week of their holiday to join us.